Dentures are designed to replace missing teeth and are the preferred method of treatment for many different situations. There are several different types of dentures. Fort Myers dentist, Drs. Bass and Donovan Dentistry are proud to offer denture services to the residents of Fort Myers and surrounding communities. The two main types of dentures are complete and partial. Partial dentures replace one or more teeth and are supported in place by the healthy tissues of the mouth as well as from the healthy remaining teeth. Full (or complete) dentures are designed to replace all of the teeth that are missing in either the upper arch, lower arch, or both. Full dentures are termed "conventional" or "immediate". This refers the time in which they are fabricated and placed in the mouth. 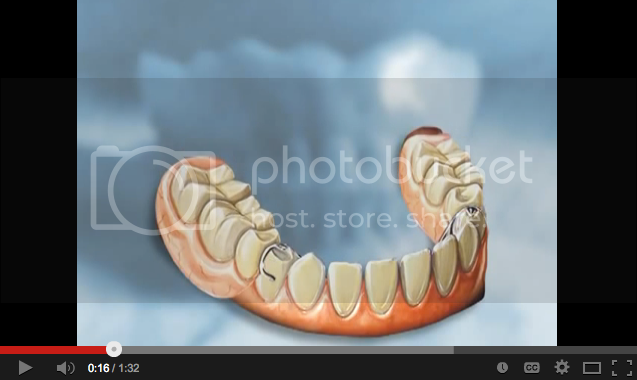 Immediate dentures are placed right after the teeth have been removed. Conventional dentures have allowed for a period of healing time after the removal of teeth. The advantage of immediate dentures is that there are “teeth” in the mouth during the time of healing. Healing may take at least 6-8 weeks. The advantage of the conventional dentures is a more accurate and comfortable denture that can be attributed to the proper anatomy of the healed tissue. Partial dentures provide a replacement when one or several teeth are missing. Removable partial dentures generally consist of porcelain or acrylic teeth supported by special denture acrylic bases that give the appearance of healthy gum tissue. This acrylic is supported by a cobalt chromium metal framework. There are several appointments required to fabricate dentures. Following a thorough consultation with the dentist outlining the process and describing the advantages and disadvantages of dentures, impressions are taken of the upper and/or lower arch. This allows the dentist to begin the creation of the denture. The dentures are fabricated on stone models that were custom designed from your impressions. The denture base is created out of wax and the porcelain or acrylic teeth are placed in the wax. Several appointments consist of try-ins for esthetics and comfort before the final denture is created. After the denture is made and delivered, you will come back for slight adjustments as your mouth becomes accustomed to the dentures. Just like glasses, braces, or a new pair of shoes, at first dentures can feel bulbous, awkward, and uncomfortable. With the passing of time and use, the dentures will become much more comfortable. Dentures should be placed and removed without pain or extreme resistance. Especially with partial dentures this could take practice. At first patients may be asked to wear the denture 24 hours per day. This can make the gum tissues sore but is the most efficient way to determine a proper fit. The areas that create soreness are then adjusted until the denture is comfortable in the mouth and the gum tissue is happy and healthy. A softer diet may be required at first to maintain gum health but can be gradually changed to foods that are more naturally eaten. It is important to note that some patients cannot go back to eating corn on the cobb, ribs, or tough steaks. The success of dentures in this fashion depends partly on that particular patient’s anatomy and physiology. How are Dentures Cared For? 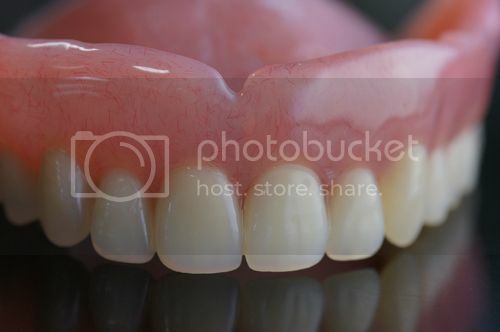 The acrylic in dentures consists generally of a smooth and glossy finish. That being said, there are still micro-pores in the material that can accommodate the buildup of bacteria and their byproducts. As a result, dentures should be brushed and cleaned daily. Denture specific brushes are recommended due to the soft bristles. American Dental Association denture cleansers can also be used. Many people have found that soft soaps and detergents are a less costly way to clean the dentures. Many toothpastes are too abrasive and can scratch the denture. After the accommodation period, dentures should be removed before bed. The denture should be placed in a glass of water overnight. This protects it from drying out and becoming brittle. It is also important to brush the soft tissues inside the mouth and to rinse with mouthwash if necessary. The area that is touching the dentures should be kept clean. This will ensure the longevity of the dentures.